Asia Pop 40 airs on Phuket’s Live 89.5 FM every Friday from 9pm till midnight and on Sat from 1-4pm. 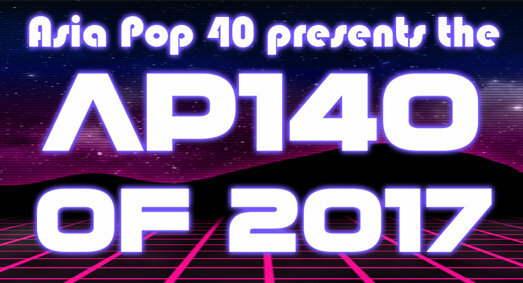 This year marks the fourth annual countdown of the top 140 songs on the Asia Pop 40 chart, based purely on their ranking in the chart and the number of weeks they appeared. The Asia Pop 140 will air throughout January, culminating with the announcement of the No. 1 Song Of 2017 on Saturday 27 January, 2018.